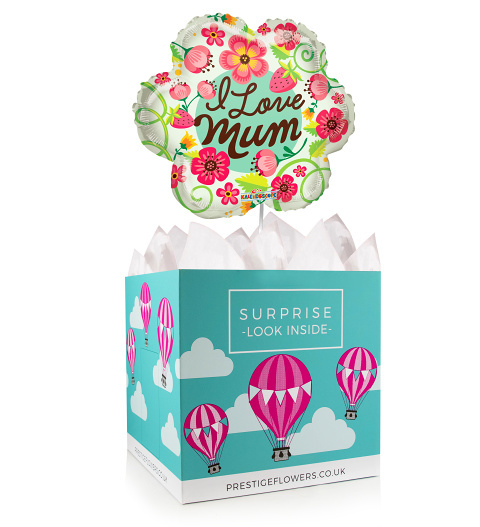 Mother's Day comes around just once a year, so make it special with this gorgeous gift for Mum. They will receive a beautiful 18-inch helium balloon and colourful box lined with tissue paper. You can also include any of our optional extras such as cake, chocolate, wine, and a cuddly bear. This surprise Mother's Day gift is bound to make her smile.